Each year, around 38,000 people die from traffic-related crashes in Brazil. Most of the victims are pedestrians, cyclists and motorcyclists. The staggering number is a direct result of the lack of road safety precautions in Brazilian cities, which are growing quickly both in size and population but also the number of vehicles on the road. Recognizing this as a serious problem, two of Brazil’s largest cities, São Paulo and Fortaleza – home to 12.1 and 2.6 million people, respectively – have become the first to adopt new road safety policies and protocols. To save lives, these cities are turning to what’s called a “Safe System” approach. São Paulo and Fortaleza have taken two important steps. The Safe System approach says mobility systems must be designed with human error in mind. Such errors are inescapable, but fatalities and serious road traffic injuries should not be. To this end, both cities are lowering vehicle speed limits and improving road infrastructure to protect people walking and cycling. 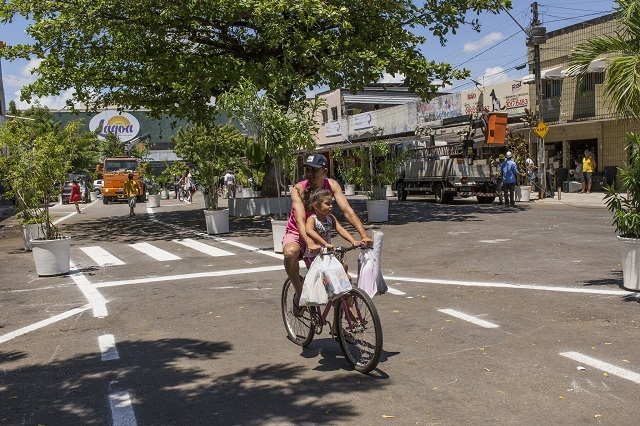 Pilot projects last year, led by the cities with technical guidance from WRI Brasil and funded by the Bloomberg Initiative for Global Road Safety, converted some streets into pedestrian-only areas, transformed a busy intersection into a roundabout, and created new public spaces. Communities reacted positively, convincing Fortaleza to replicate the process and design similar interventions in other parts of the city. According to recent data, 2017 was the third consecutive year of declines in Fortaleza’s road traffic crashes to 256 deaths, a reduction of 9 percent from 2016. The fatality rate in traffic crashes has also been falling, reaching 9.7 deaths per 100,000 in 2017. São Paulo also reduced the number of road fatalities in 2017, to 6.6 deaths per 100,000. According to data from the Traffic Engineering Company, there were 796 deaths in total, the lowest number recorded in the city since 1979. But this isn’t enough. Inspired by countries like Sweden, where fewer than 3 in 100,000 people are killed in traffic crashes each year, and there is a goal set to reach zero road deaths, both cities are now formally developing citywide road safety plans. Both São Paulo and Fortaleza have hosted meetings with city leaders and planners this year to mark the beginning of this new chapter on road safety. 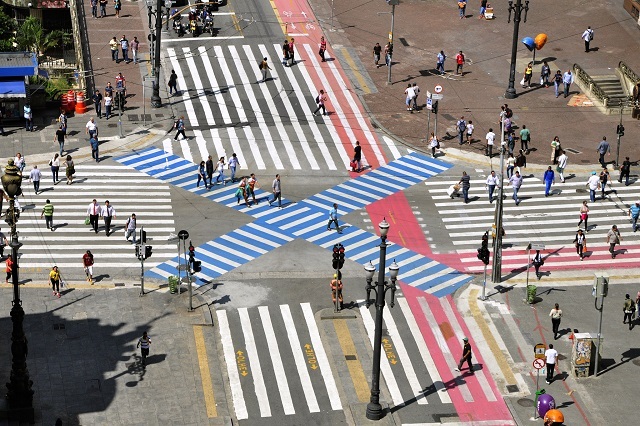 All eyes will be on São Paulo and Fortaleza as they draft and implement their new road safety plans. Both cities have an important path to travel this year, as they work collaboratively toward a safer future on the roads and blaze a trail for other cities facing similar challenges in the region. The Safe System approach is part of a global effort to reduce road deaths and injuries, often branded under the name Vision Zero. More than a million deaths could be avoided each year if the rest of the world achieved levels of road safety comparable to the best-performing countries. WRI Ross Center for Sustainable Cities, in partnership with the World Bank, launched a report this year, “Sustainable and Safe,” which presents eight action areas to take into account when creating a safe road system. The report argues that we already know how to save millions from dying on the world’s roads. And it’s time to start doing so.